The guest blogger this week needs no introduction. It’s Paula Harrison who, until recently, was one of our regular bloggers. For those of you new to GHB, then Paula is a best-selling children’s author with more than a million book sales to her name! Welcome back Paula. Robyn Silver: The Midnight Chimes will be published in September. 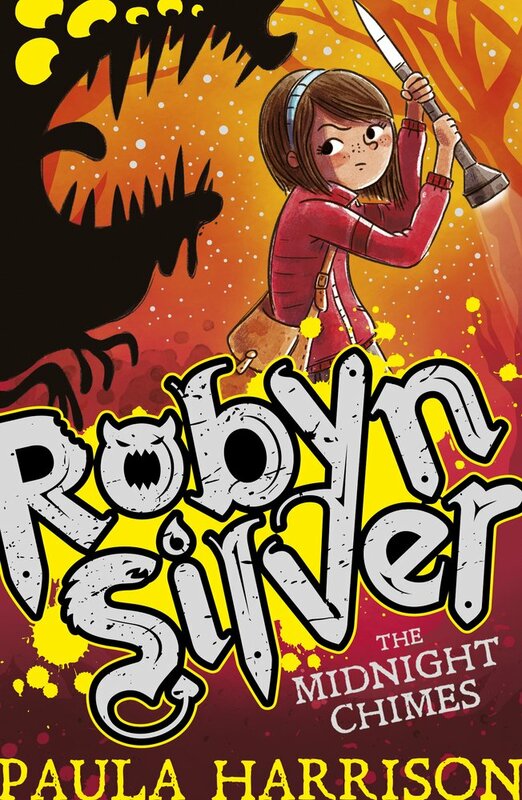 Robyn was a fantastic character to write about. She’s third in a family of five children and finds having that many brothers and sisters seriously annoying. Like many girls, she doesn’t feel very special or talented, but actually she’s pretty determined and resourceful. This is lucky because the story plunges her into a world of monsters and mayhem! Katniss in The Hunger Games by Suzanne Collins It’s a strength of the storytelling that Katniss, who’s depicted as a person who’s hard to get to know, is loved by readers. No, she’s not sociable, sometimes not even particularly friendly, but it’s her father’s death and the responsibility of finding food for her mum and sister that have made her that way. I think the thing I love most about Anne is that she has absolutely nothing except her imagination when she arrives in Avonlea. She has no money, no family, no friends and not even very many clothes. Her imagination is a source of strength but also gets her into quite a lot of trouble! Hermione begins life at Hogwarts as a bit of a know-it-all but she has a really big heart. I think we love her for that even more than her ability to produce the right spell and get Ron and Harry out of difficulties. Seeing this story through Bobbie’s eyes, was useful for me as a girl because I was able to empathise with how it felt to be the older sibling. As the younger one, I didn’t often look at things from my sister’s point of view. Bobbie feels as if there’s a big weight of responsibility on her and she constantly worries about doing the right thing. Matilda discovers she’s special because of the tremendous pressure she’s put under. Miss Trunchbull is such a truly evil character and that makes us root for her all the more. Annabeth is a bit of a puzzle to Percy Jackson at times, so we don’t always see what she’s thinking. But over and over she proves to have the strength of mind and courage that make her a true heroine. How about you – who are your favourite book heroines? Thanks for telling us about your favourite heroines, Paula. We think Robyn Silver should be added to that list! Come on readers, tell us who your favourite heroines are. Tags: Book heroines. Bookmark the permalink.